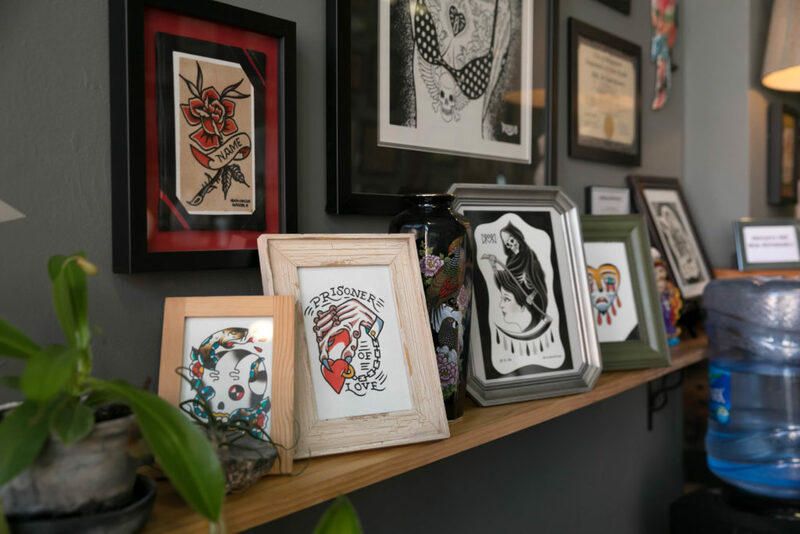 At Hunter Gatherer Tattoo & Piercing, we provide our customers with high quality body art services in a professional, clean and courteous environment. We are proud to offer all custom work designed just for you by our talented artists. The shop is owned by Troy Timpel. Troy is a multi-talented and accomplished artist who has worked in the body arts industry for over two decades. He also owns Philadelphia Eddies at 621 S. 4th in the South Philadelphia/Queen Village neighborhood. He operates convention/tattoo company Villain Arts, which is responsible for overseeing and successfully running over a dozen body arts conventions nationwide. Our staff of tattooers is diverse in their interests and offerings of artistic styles. We use only the highest quality professional supplies and some of our artists offer vegan friendly processes. 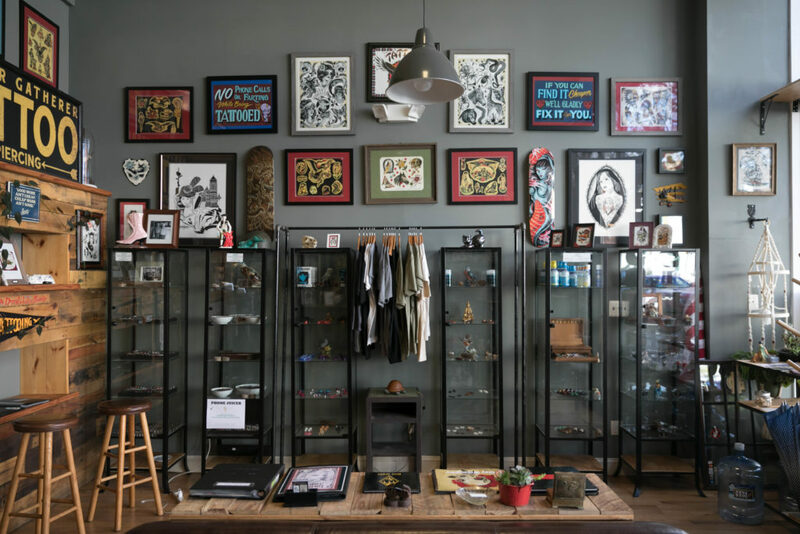 In addition to tattoos, original artwork, prints, and apparel by our artists can be purchased at the shop. Please visit individual artist pages for more information on our tattoo team members. Our piercers use implant-grade, professional, hypoallergenic jewelry and materials throughout the piercing process. All procedures are performed manually (no "guns") with individually bagged and sterilized needles and supplies. We also offer a wide selection of exotic, hand-crafted boutique jewelry in a wide range of sizes and styles. Everyone on our team is licensed with the City of Philadelphia Department of Public Health and complies with annual OSHA BBP training.